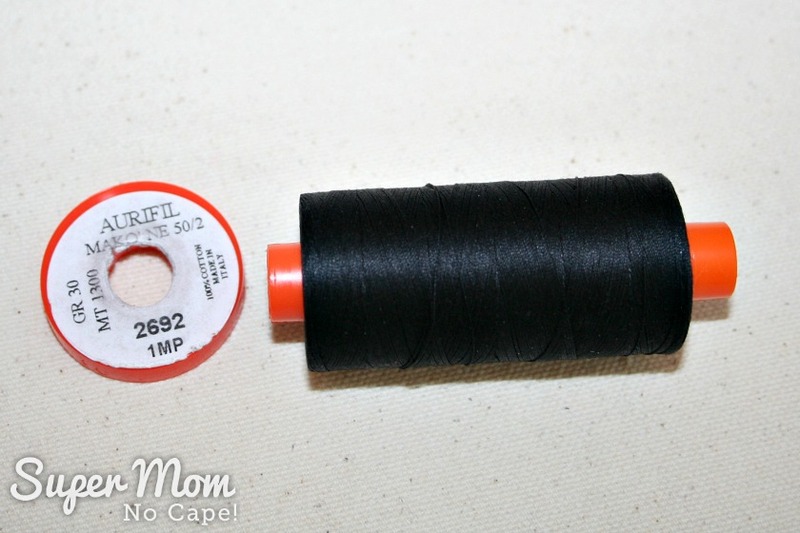 The Secret in Your Thread Spool - Super Mom - No Cape! Did you know that most of the quality threads available on the market today have a secret? Or rather their spools have a secret? 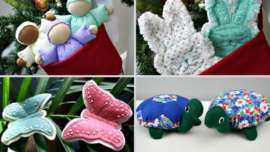 I’ve been sewing since I was a young girl when I started making Barbie doll clothes and I didn’t know this secret. 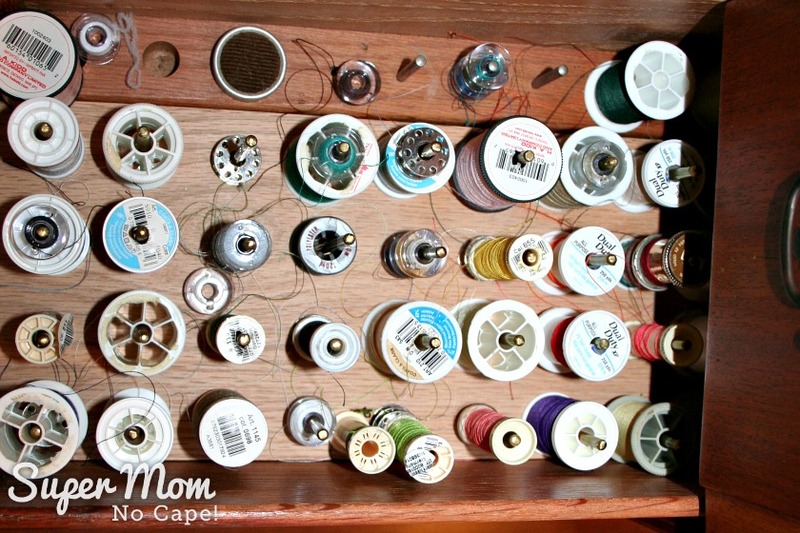 Back then in the early 70s, you could still get thread on wooden spools! Now you may be one of those who has known about this all along. 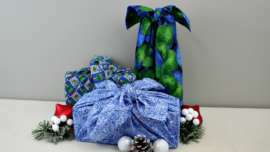 Maybe your grandmother or mother or a sewing friend taught it to you. But when I learned about this a few days ago, it was the first I’d heard that thread spools have a secret! You would never know just by looking at those spools that they each have a secret, would you? 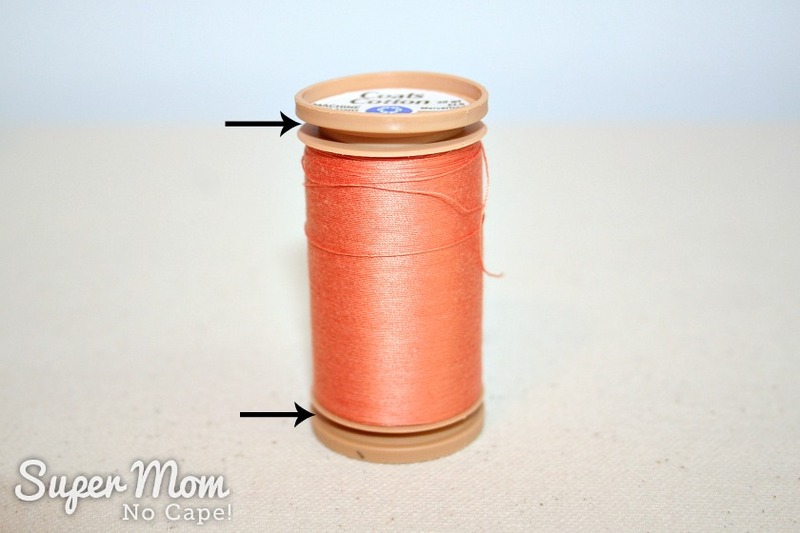 I’ll give you a hint… have you ever tried to find the thread end on a new spool of thread and couldn’t find it no matter how hard you looked? Once I show you this secret, you’ll always know where the manufacturer has hidden that thread end. Each brand of spool has a slightly different way of doing it and one brand even has a hidden compartment! 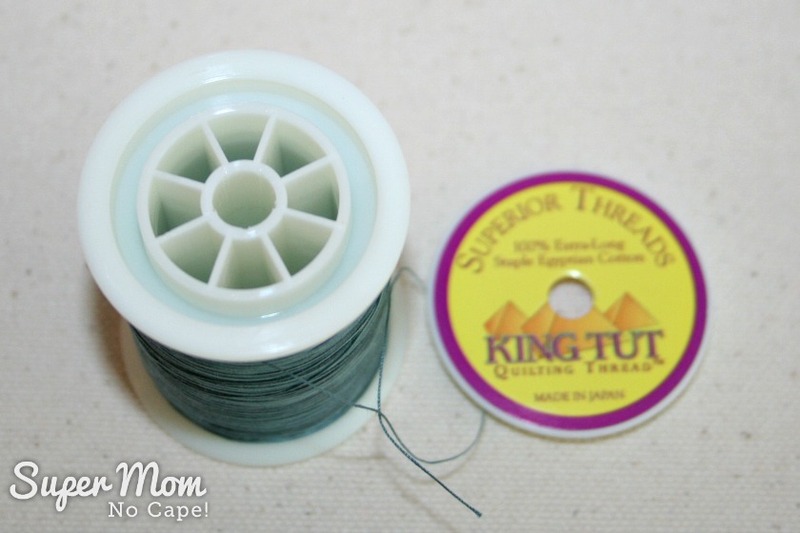 First up, a King Tut thread spool. 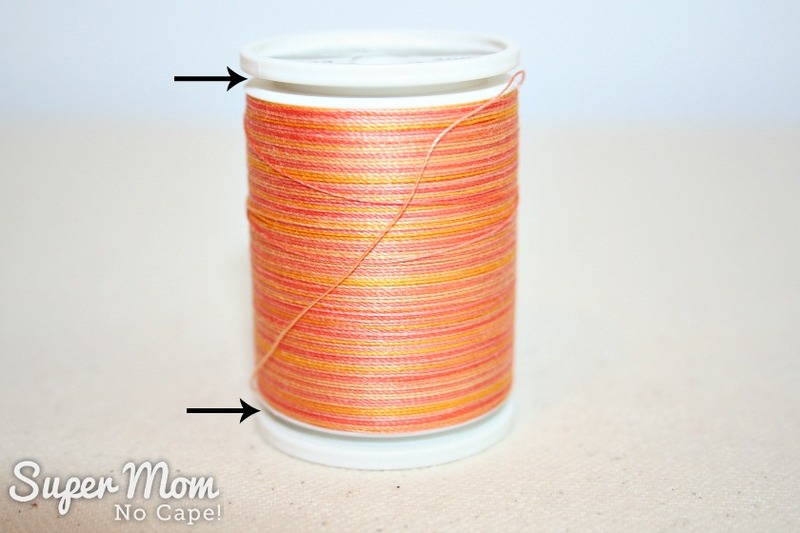 On this spool you can easily see where the thread end is as indicated by the arrow. I had no idea the top of the spools popped up like that! In fact, on King Tut spools, the whole top comes off, if you pull hard enough. The same thing with YLI thread. The top of this spool came off just like the King Tut spool did but I’m not sure if it was really supposed to or if I pulled so hard that I broke the top. The top and bottom of Coats Cotton pops up too. Gütermann thread spools are different yet again. See the bottom with the little ruffly edge? Remember me telling you that the spools of one brand of thread even has a hidden compartment? If you twist that end of a Gütermann spool not only does it pop up so you can find the thread end… the bottom comes off to reveal the hidden compartment! I read about that hidden compartment in a post on the blog, Quiltessa: Patchwork palette. It’s that post that prompted me to go check to see if any other thread brands did the same. In her post, she shows how she inserts a pencil eraser into the spool end to make a pin cushion. 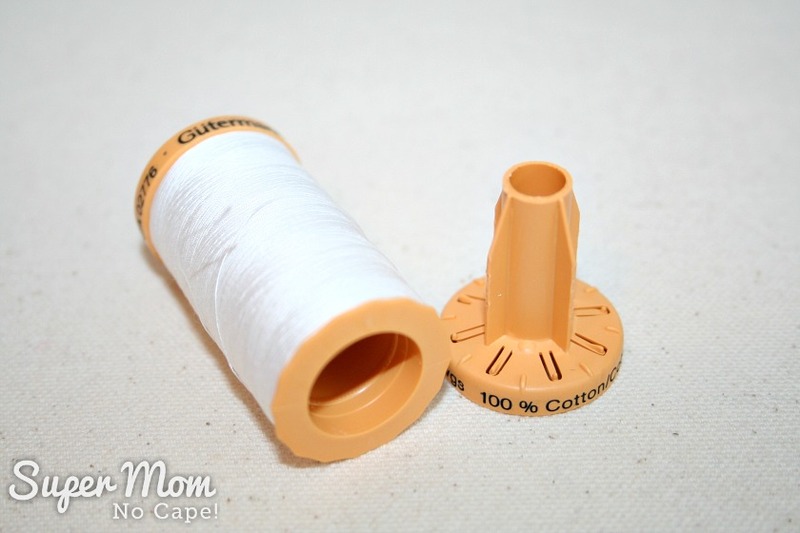 And then when I posted the link to Quiltessa’s post on facebook @1SuperMomNoCape, one reader commented that her grandmother kept a needle in every spool she had. So obviously the hidden compartment in Gütermann threads has been there for a while and perhaps it’s only been a secret from me. 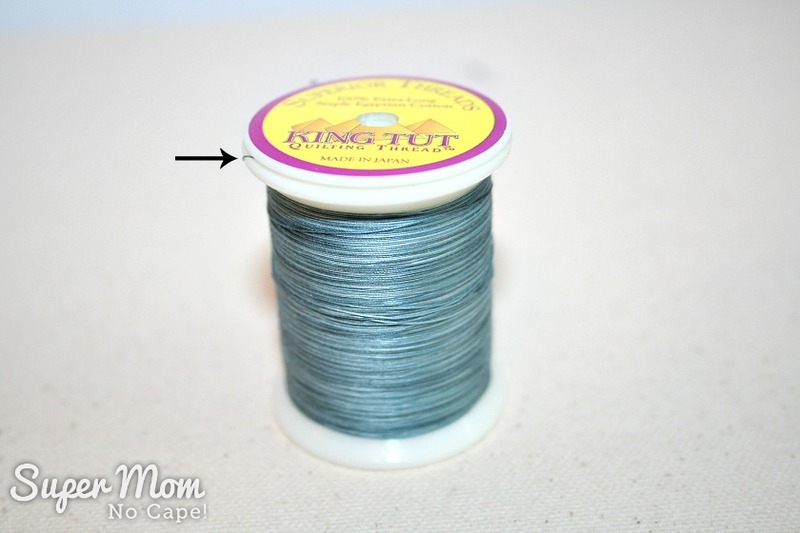 Did you know about this secret in your thread spools? Want to pin this post for future reference? Simply click on the Pinterest button underneath this post. A lot of the older spools have a gash in the top to grasp your thread. Can’t find it? Color that gash with a black marker. Simple. Or create your own gash with a razor blade; I do this on the bottom of my serger thread cones, less tangles in the thread drawer! Well, I didn’t know about Superior Threads, YLI or Aurifil threads as I don’t have any of those. Guterman I do now about. With most of the other threads I have, there is a small slit into the edge of the spool that holds the thread in place when not in use. Many of my old wooden spools also have that slit. I also knew about the slit in the spool. My mother showed me another one, los of the spools have a small paper label on the ends. Under one of these labels is usually found an end to start with. This is a very interesting article. Thanks for sharing. 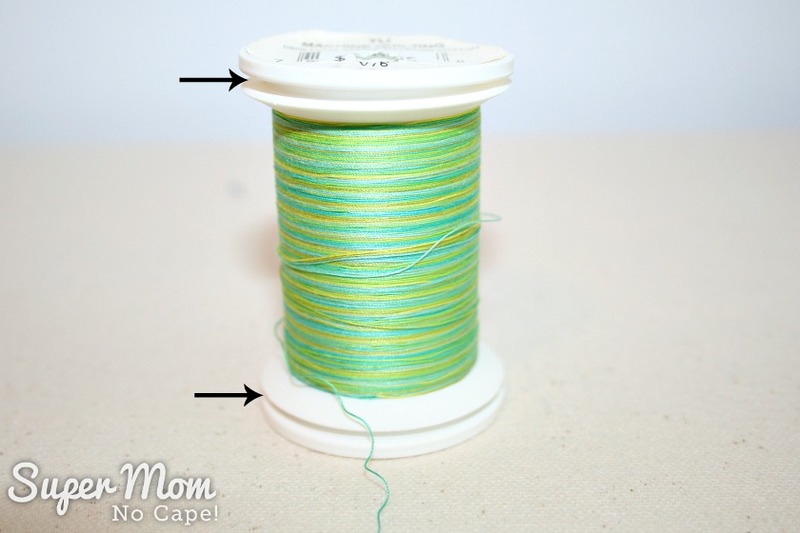 I always have a problem with finding the end on the Aurifil spool……now I know! I knew about a couple tricks but not nearly all of them! Thank you for sharing!! Have a wonderful day!! I was aware of it with a couple of the brands but not all of them. I accidentally discovered YLIs cover popping up. I knew you could slide the thread tail through it to hold it but that was it. I’m about to go looking for a Gutermann spool so I can find the secret compartment! Interesting! I’m off to check my spools now! Well I’ll be darned!!! 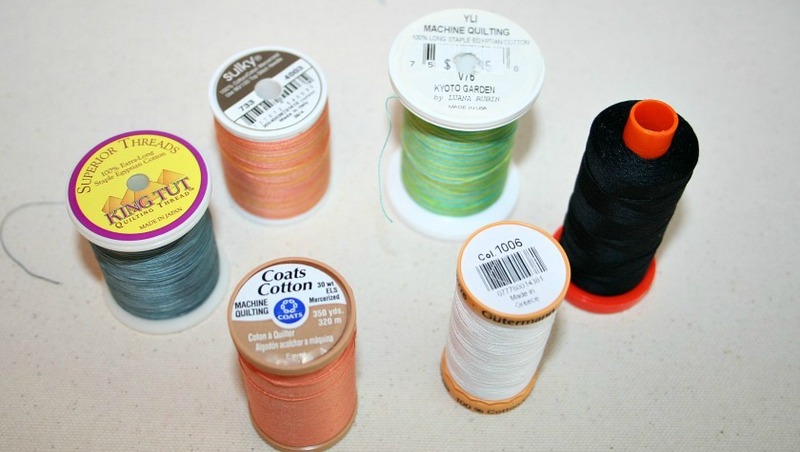 I did not know any of this and have always been annoyed by that ‘extra’ bit on the spools, thinking they were there just to catch the thread (usually when I don’t want it to). I had to get some spools and check it out and sure enough. The most amazing thing was the hidden bit in the Gutermann thread! Who knew. Too funny. I always buy Gutterman thread and knew about the end for the thread but have never seen the compartment. I always stick a needle in the thread on the side. Not any more. Too funny, thank you for the knowledge. Hi, my name is Martina and I live in Germany. 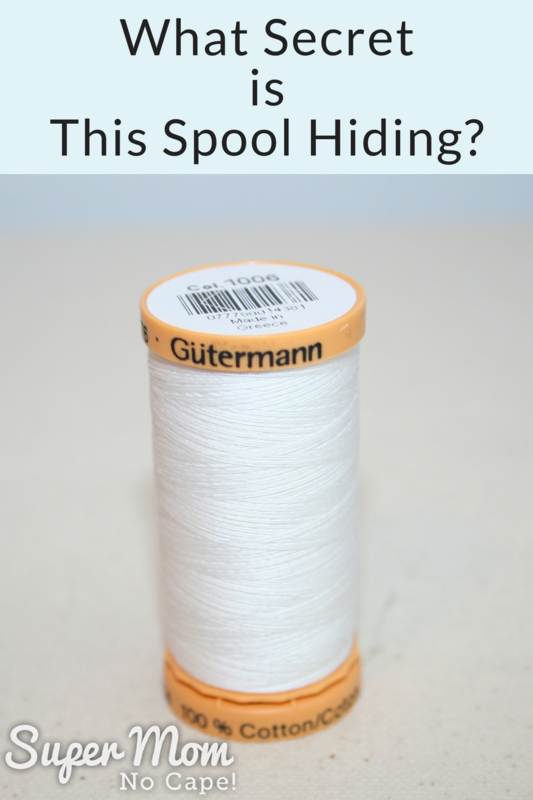 I have some thread spools from Gutermann thread as well and it looked exactly the same as yours… but no hidden thing in the german Gutermann spool. Strange thing – funny so! Thanks for sharing and making me curious! When I bought my Babylock a couple of years ago, no one at the store told me how to get the new spools ready to sew. I suppose they figured that I had sewn recently, which I had not! I looked and looked and could not figure out how to find the tail, so I tried just cutting a piece loose which did not go well! When I did finally did figure it out, I laughed and looked at my moms picture and told her she would be shocked to see what happened to thread spools and the new prices!! All of this was new to me – I never realized those tops or bottoms came off!! I knew about the little slit in the wooden spool or the end of the thread is tucked under the paper. I never realized some spools have secret compartments. Now I will be checking my thread. Just another reason why they should not have taken Home Ec out of schools! That’s where I learned this. 58 years ago ! Me too. Mom made me take Home Ec. so glad I did. Excellent idea. Thanks for sharing. I also knew about the pop up end on some spools. When I put my thread away I pop the top and stick the thread under it. I knew about the gutteman reel. I thought it was to enable you to use them on an overlocker! The bigger hole would allow for that. Some removable ends also allow you to use your thread in either direction, depending on the placement on your machine (kind of like the toilet paper rolls – either over the top or from the bottom). So you can actually take the end off one side of an Aurifil spool and put it on the other end and it will unwind in the opposite direction on your machine. Sometimes this can be very important, and can make the difference in whether or not your machine “likes” a certain brand of thread. Check out the photos that show how your thread should unwind on your machine; you might be surprised. Thank you for this information. I had no idea. My curiosity has peaked and I am going to be checking some of the spools I have. I am interested in the Gutteman reel and the secret compartment. Thank you for sharing. Hi! I just twisted the end of my Gutermann, and it crumbled into a bunch of tiny pieces of plastic. ? Now I no longer have the bottom bit to wind my loose thread into! ??? I tried to reply via email but the email bounced back. So I’ll reply here. I’m sorry this happened to you. Was the spool an older spool of thread? Perhaps over time the plastic got brittle. 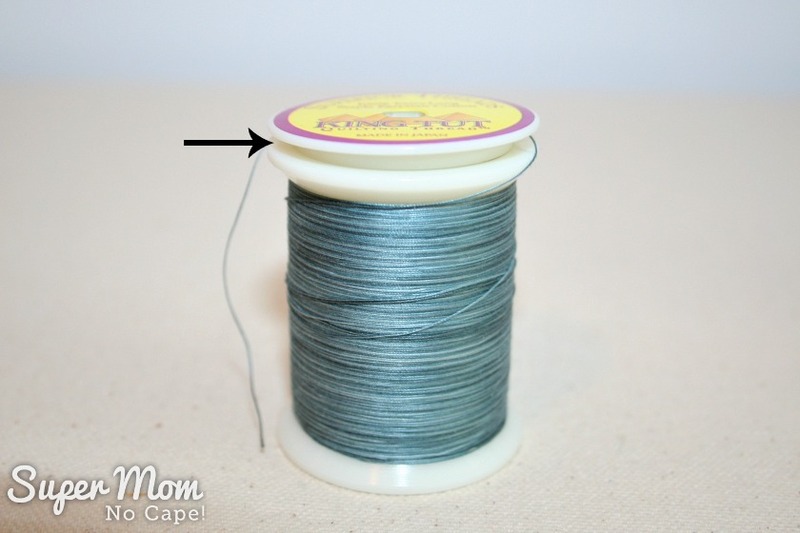 What you could do is take the end off of an empty spool of thread and use it to replace the one that crumbled. Or you could wind the remaining thread from the spool that crumbled onto an empty spool. Yes…in the old days it was the round sticky paper tab on the end and the thread spool. Now most pop up but they become brittle over time and are not meant to be played with. Had no idea I still have several of my moms some mine wooden spools. Now I have to go buy guttermann to see th hidden compartment. Now I’d like to know what’s th best thread for quilting 1st one 2nd. The hidden compartment allows you to keep a needle handy. Place needle in compartmentment and replace top, you are never without a needle, especially if you are in a hurry. 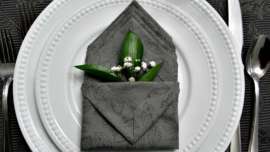 I do this to take hand quilting with me when traveling. Did not know about the hidden compartment!! Thanks for sharing with all of us!!! Why on earth doesn’t anyone tell us these things? Well, someone just did, of course, but I’m 69 years old. Learning it a little earlier would have been a big help! Yes, I knew these hidden spots! Isn’t sewing fun?! My grandmothers and mother were expert heirloom seamstresses and passed on their love (along with fun sewing secrets) of sewing to me ? As our craft is making a resurgence, your article is aptly timed! Thank you for sharing, Super Mom No Cape! Thank you for sharing this information, however, the bottom of my gutermann spool never came apart. It was just the small spool, so I was wondering if this was the problem? I wish I had t read this now that I tried taking the tops off. One is a “Sew-ology” tall thin spool like Gutermann and the top came off but it won’t go back on. Luckily I only own two of these. Most of theirs are Coats & Clark and I don’t have a problem finding the ends or securing them. I’m sorry that this happened to you, Elaine. I’ve never heard of Sew-ology spools before. As such, I can’t offer any suggestions for what to do to get it back on. 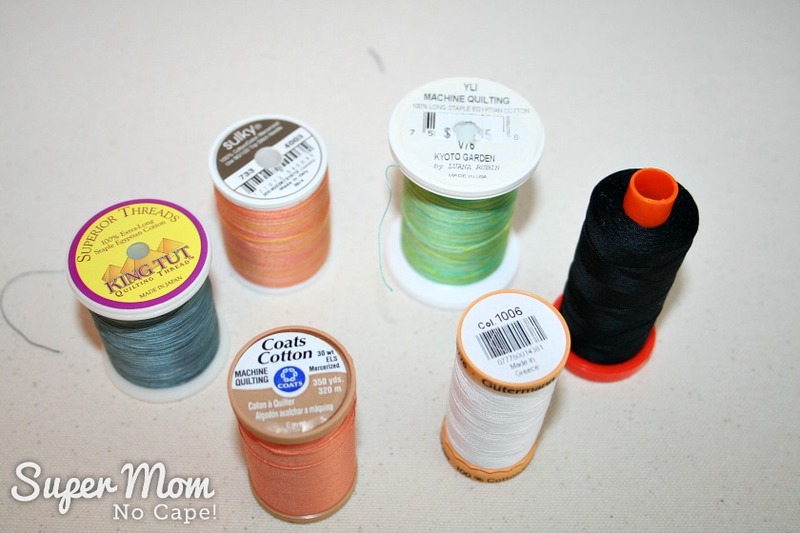 I’ve never had a problem putting any of the tops back on my spools (of the ones that come off, but I can see how it would be frustrating to have that happen. Sew-ology is a brand sold at Hobby Lobby stores. I had no idea! I’m now looking at my sewing supplies with a new sense of intrigue, does my rotary cutter have a secret life? Does my seam ripper convert to something magical if I twist it in the right place? Thanks for sharing. Thank you so much. I just started sewing again after about a 20 year hiatus and was mystified by the problem I was having getting the thread started on a new spool of thread. I decided to “Google It” and, sure enough, I found your post first thing. What did we do before the Internet? Thanks so much for taking the trouble to put it out there for us to find. You’re a real gem! 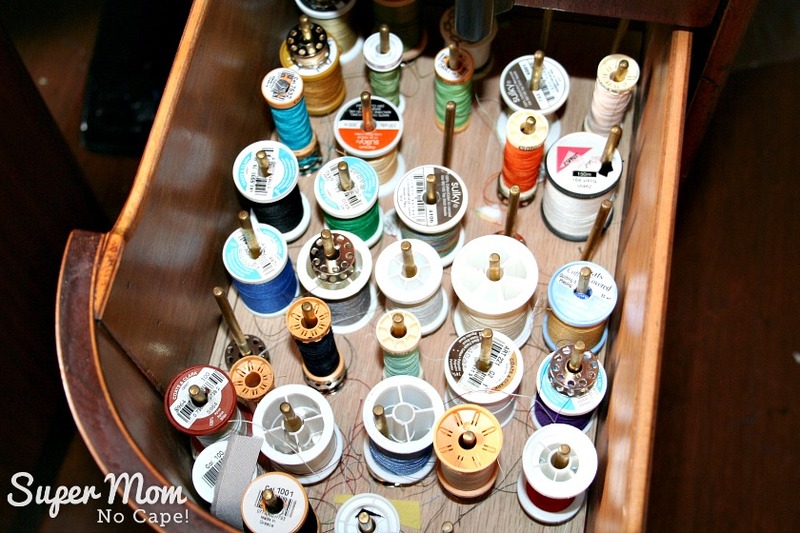 I have been so frustrated because my spools of thread would not and did not (I thought) have a place to lock the thread end like the wooden spools did so there was not a tangled mess. I finally bought the small hair wraps that my granddaughter used and they work great. Now I know a secret. Thank you. I knew some of it but not Guterman brand. I have to check that out. Great tutorial. Thanks for sharing, I’ve noticed this for a few years now, but it’s always nice to spread the word…I seam to always forget to post…I tell those close toe…but seem to forget about posting….thanks again. 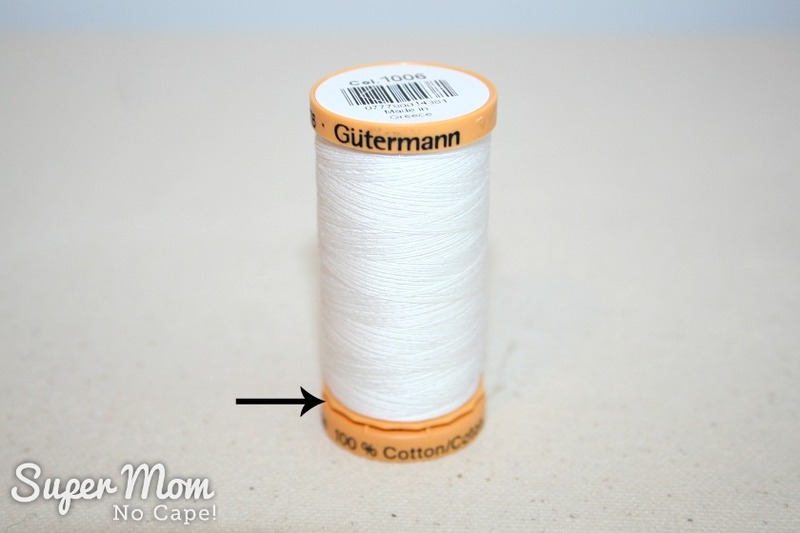 I had heard about the Gutermann thread thing – but not the others – thanks so much. I knew about all but the Gutermann. How interesting! I also had Home Ec in high school and the teacher never commented on where to find the end of the thread on a new spool. She didn’t know that there was a raised line of threads on a zipper that you could follow to get you stitching straight when putting one in. I have been sewing for 60 years and never knew these things I have slways been frustrated by all the loose ends of threads. Now I know what to do. I have shsred this with friends Thanks for the info. There is a surprising use for empty spools by Guiterman. Operation Christmas Child workers discovered that they could make Fishing Kits for children by winding the nylon fishing line on the medium to large spools & holding them on by putting the cut ends into those moveable end pieces. The spool itself can be the “bobber” as it floats nicely. A hook & a picture description of how to attach the works to a stick completes the fishing kit. Well, I’m blown away! I had a look at my spools and some of them do have this kind of feature. For sure Guttermann and Coates and my smaller spools too! Only the really old thread doesn’t have this feature! I’ve been sewing for decades and never knew this! Good grief! 🙂 I’m stunned!